Remember Comedy Central in the early 2000s? Well, it’s back, and it’s going on tour. 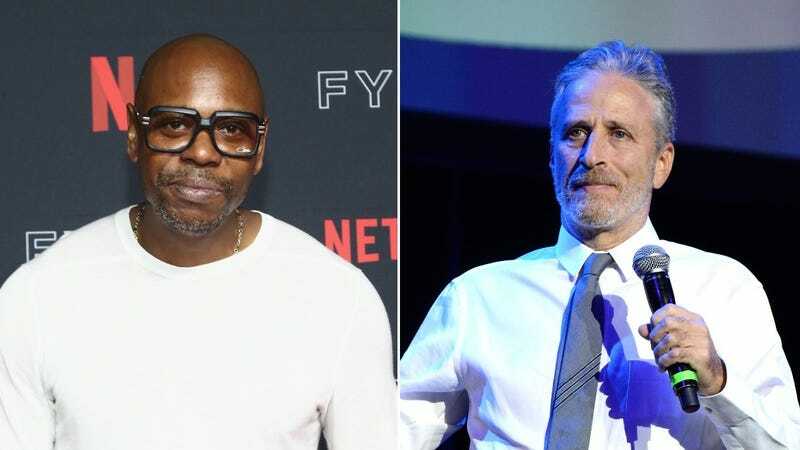 Alright, it’s technically just former Daily Show host Jon Stewart and former Chappelle’s Show host Dave Chappelle who are going on tour, but that should still be enough to stoke the nostalgia fires of anyone who longs for the days of Crank Yankers, That’s My Bush, and Shorties Watchin’ Shorties. According to Rolling Stone, tickets for the Stewart/Chappelle tour will only be available through Ticketmaster’s Verified Fan platform, which supposedly deters scalpers and bots with the added benefit of making ticket-buying even more of a hassle than it was before. Unfortunately, the tour dates are extremely limited, as Stewart and Chappelle will only be stopping at three cities during the seven-night run: Boston, Houston, and El Paso. You’re out of luck if you don’t live in or around those places, but maybe a significant level of fan support will convince them to add more shows. Of course, a significant level of fan support didn’t stop Chappelle from quitting Chappelle’s Show, so maybe it would be more effective if we all just play it cool and act really indifferent to this whole thing. So yeah, here are the tour dates or whatever.